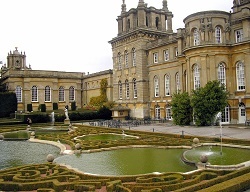 Oxford is a great location for both luxury spa days and also great value spa day packages in Oxfordshire. With a few venues to choose from, you may have your work cut out picking your favourite. It doesn’t get any easier one you have picked a venue, you then have to pick a perfect package for yourself. With so many options you are guaranteed to find the perfect break for yourself and a loved one or group of friends. If you’re looking for a spa day for a group of friends with different budgets these hotels are perfect due to the vast amount of packages, from cheaper spa days starting from £35 per person with a treatment each right through to the more extravagant spa days including many treatments. Oxford is a wonderful location with magnificent buildings and scenery at every turn. It’s easy to see why so many tourists come to visit this wonderful city. With an abundance of shops, restaurants and cafes it is the perfect place to visit for a day or two. Take a boat ride with a group of friends down the river and take in plenty of beautiful sights.